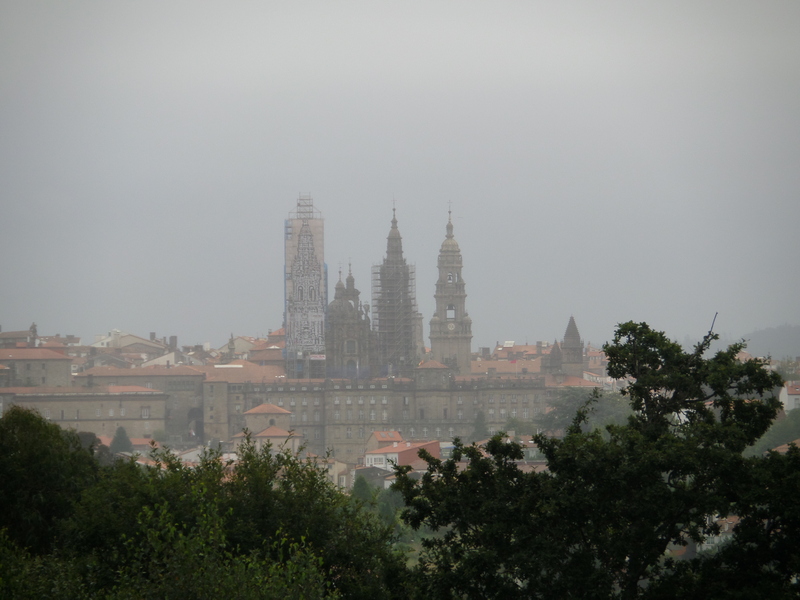 I left Santiago headed for the Camino Finisterre/Muxia in the morning mist. I worked my way out of town onto a natural path beginning my new Camino. I turned to catch my last glimpse of the cathedral before I worked my way up the hill. The trek for the day was mostly through rural Galicia and on beautiful natural paths. At one point it did rain a bit, but I was fortunate to be at a cafe con leche stop at that time. The temperature was in the 70 F (20 C) range. So glad you got the commentary to come up on this. Had tried earlier and it was blank. The picture of the cathedral in the mist/fog is just gorgeous. Your photos bring back so many memories. Looks like you are having a terrific time. Off you go. Great pics.